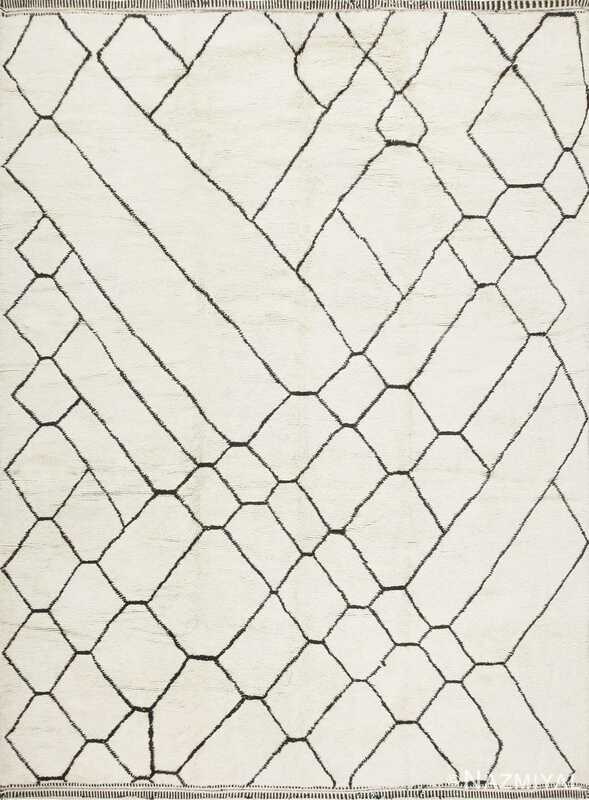 This magnificent contemporary large Beni Ourain rug from Morocco delights with its abstract line work. 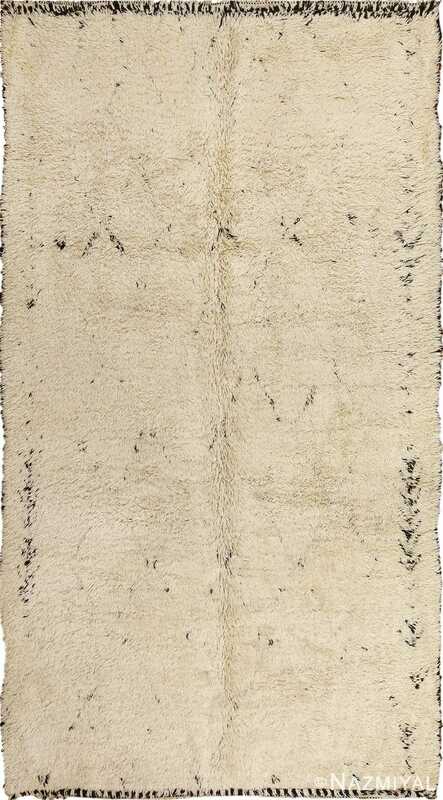 Large Beni Ourain Moroccan Rug , Morocco, Contemporary – Here is a gorgeous contemporary rug – a Moroccan carpet, woven in the height of the enduringly popular Beni Ourain style. 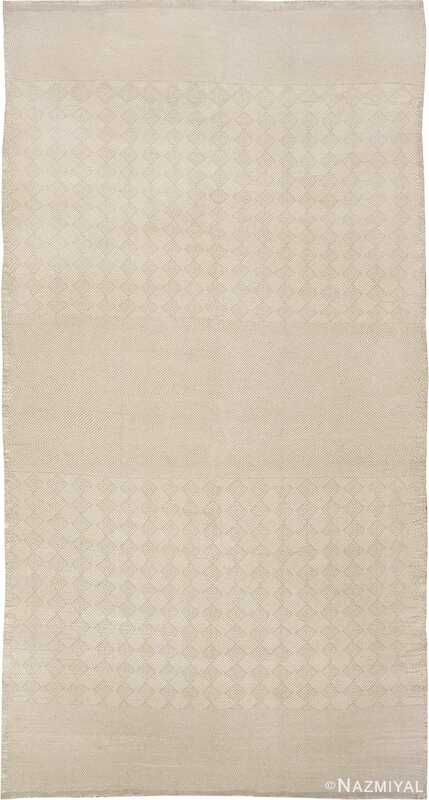 Beni Ourain Moroccan rugs have long been admired for their traditional compositions, which emphasize the minimal and the abstract. Generally characterized by broad ivory fields and small, deep brown detail elements, these carpets are beautifully suited to contemporary interiors, especially those that emphasize a mid-century modern aesthetic. This particular example is especially fetching, boasting a composition that is decidedly abstract, and certainly understated. A complex pattern of lines unfolds across the entire length and breadth of the carpet, lattice-like at some points and eccentric in others. The overall effect of this line work is an impression of complexity, with the lines directing the eye in a variety of directions. 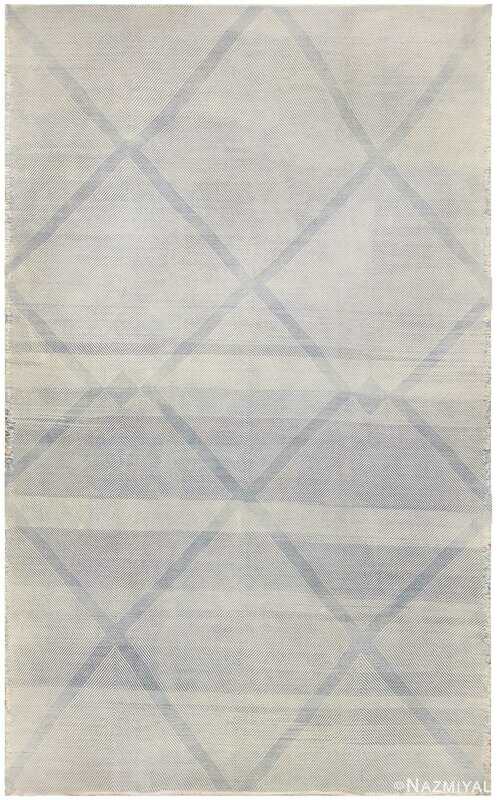 A fascinating example of a large Beni Ourain rug, this contemporary Moroccan rug delights with its abstract line work.